Most individuals that find a passion for dance will follow it for the rest of their lives. If your child is about to attend their first dance class at the Broadway Arts Centre, and you’re wondering what you can do to prepare them, continue reading today’s blog! 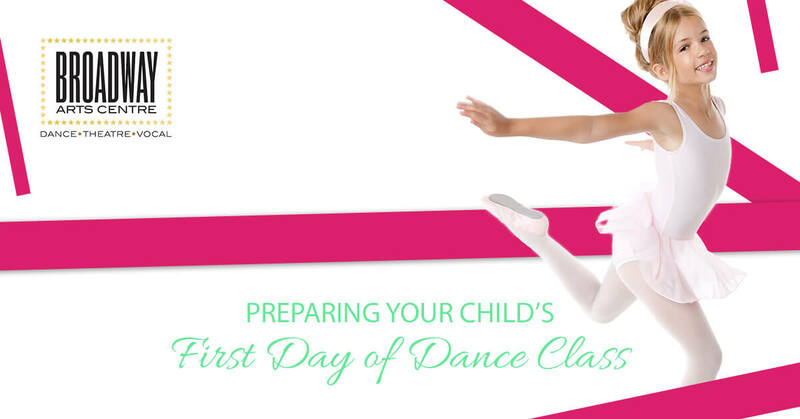 We are going to cover a few of the things that will make sure your child’s first dance class goes seamlessly. One of the most critical parts of your child having a first dance class that goes well will be the clothes that they wear. Depending on the type of class that your child is going to be attending, there will be a certain dress code that they should be given. Not only is this because of the style that most types of dance follow, but it’s because of the comfort and mobility that the dancers need throughout the class. If you’re not entirely sure what type of clothes your child should be wearing, then it’s best to stop in and ask one of our teachers what they would suggest. Take some time to find the right pieces of clothes and shoes that will make your child comfortable and will last for the duration of the class. Dance class is a blast for children, but when they haven’t been attending a routine class like the ones offered at Broadway Arts Centre, they can get pretty exhausted by the end of the class. Whether it’s summer that they’re going to be starting dance classes during, or it’s the school semester, a good night of rest is something that we suggest before your child’s first day. This ensures that they have plenty of energy to go all out during dance class and have fun! Too little energy can lead to a pout fest or a frustrated child that’s eager to go home, and that’s the last thing that we want their first dance class to be. The same way that a good night of rest will benefit your child during their dance class, a healthy and energizing snack will keep their tummy full throughout the entirety of class but give them that boost of energy they need to rock out during class. Anything from a banana to some of those no-bake energy bites are a great option for taming your child’s appetite while keeping it light enough for them to move around. Dance classes are all about having fun and following a passion. Many children will get nervous before their first class, and it’s your job to remind them that this is something fun that they’re about to start doing. Continue to encourage and support your child throughout their journey with dance — they’ll appreciate it in the long run. If your child is having some first-class jitters, do your best to remind them what about this class they were looking forward to in the first place. 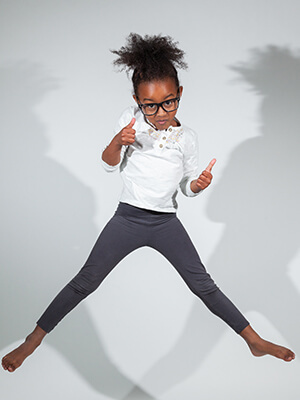 At times this means doing a few stretches on the floor and mocking a dance class, but for other children, it could be turning the music up and having a dance party that allows for them to get out their nerves in the form that they’re about to be practicing in class — dance! The team at Broadway Arts Centre loves providing performing arts classes for children. If you’re interested in any additional classes that your child might be passionate about, make sure to check out the different programs that we offer throughout the year. Contact our team with any questions that you may have!